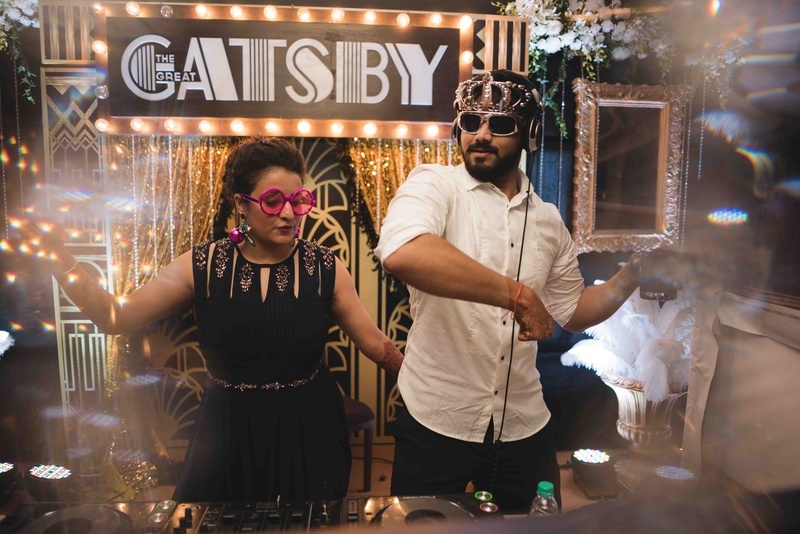 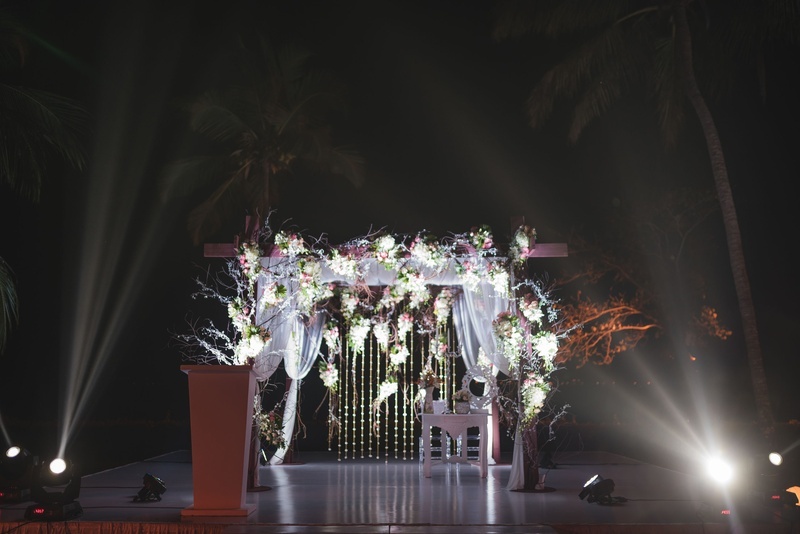 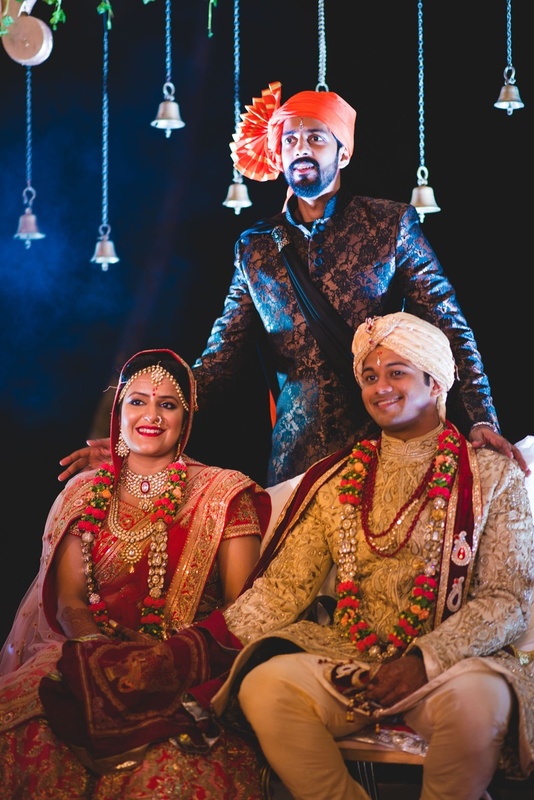 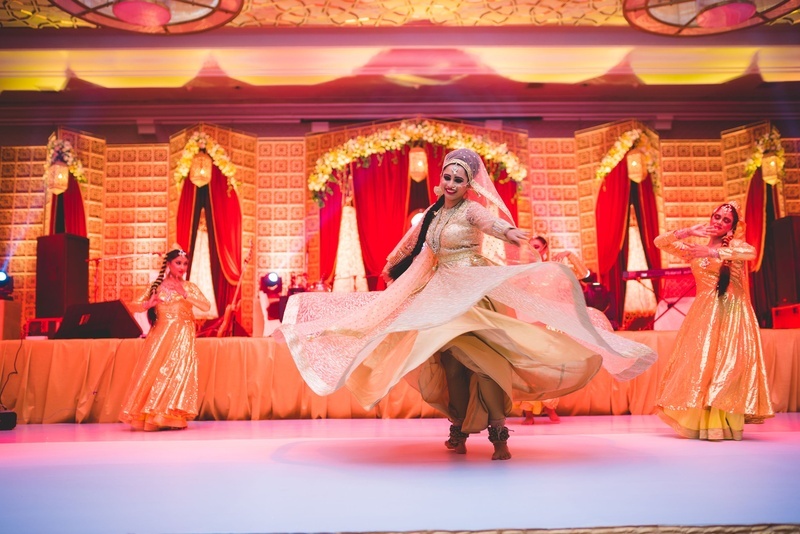 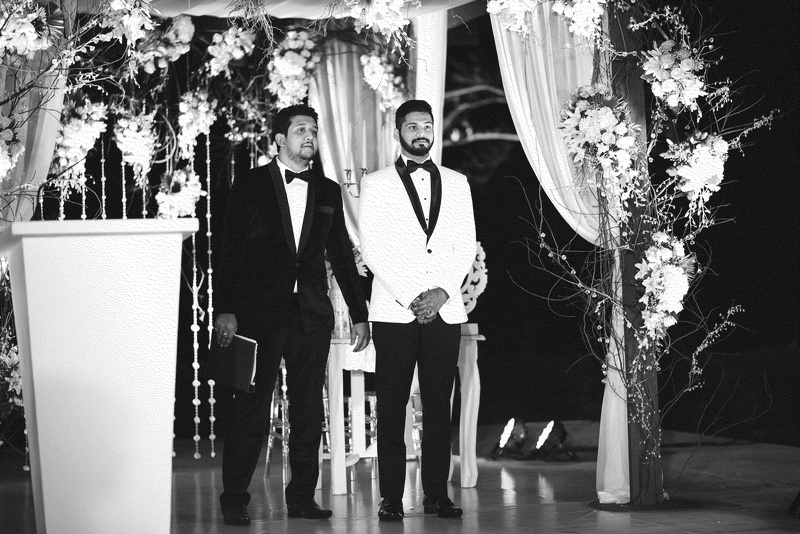 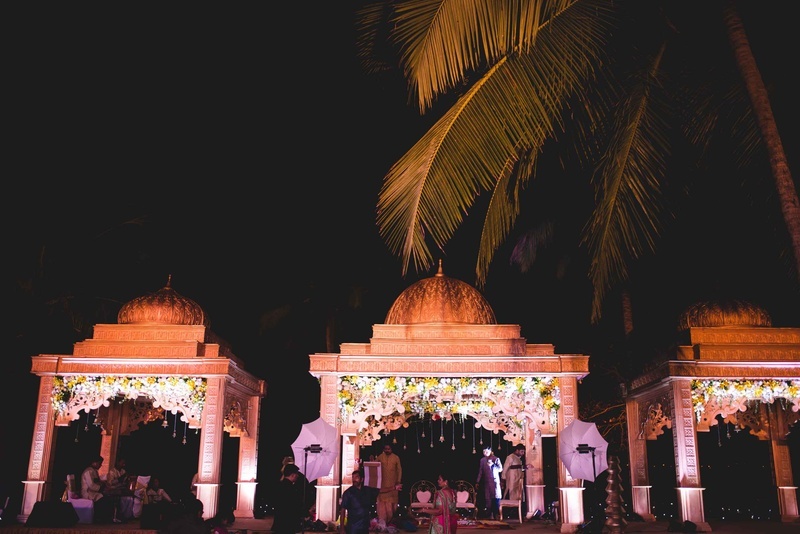 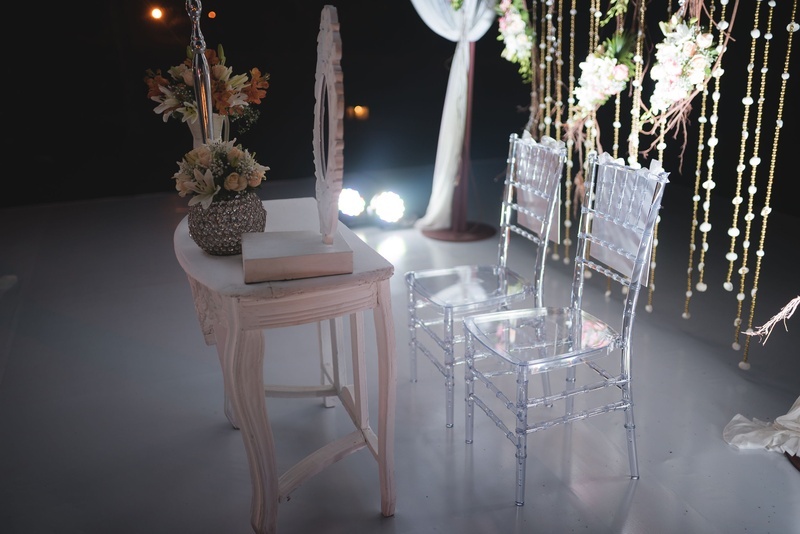 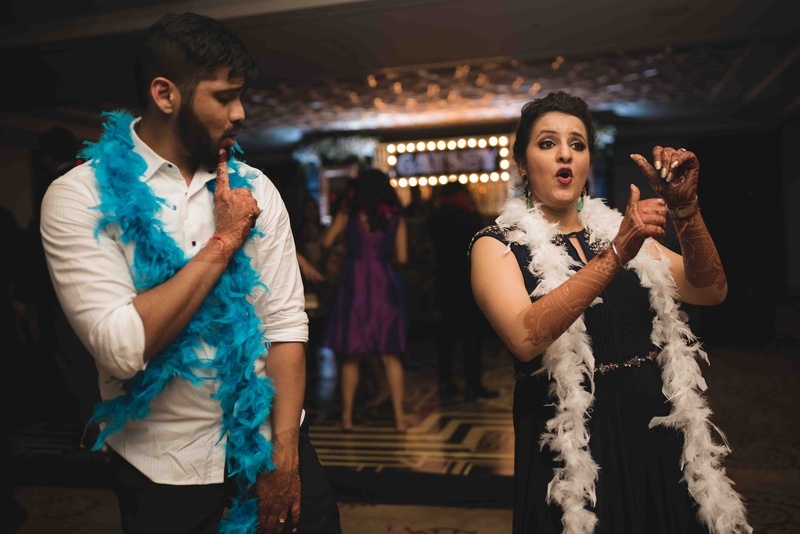 Love knows no boundaries - this wedding of Pranay and Vrinda is a tale of two nations. 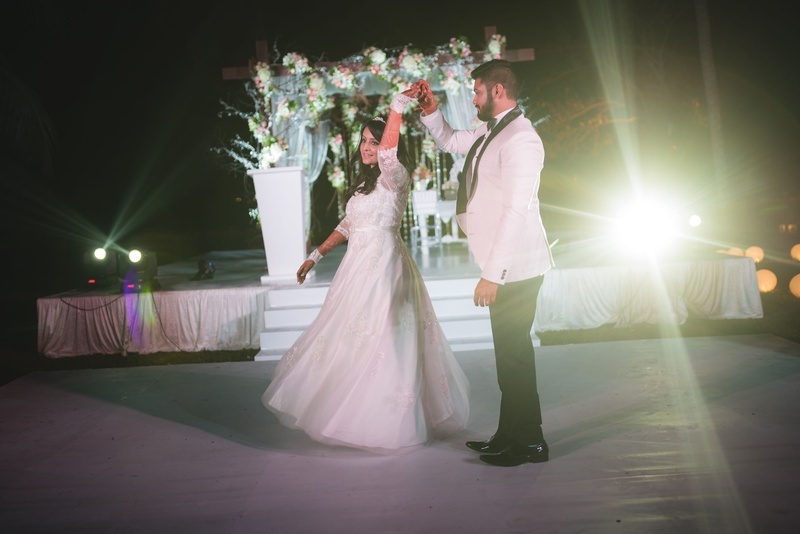 It would be difficult to believe that people can fall in love with conversations but that’s what happened with this crazy couple. 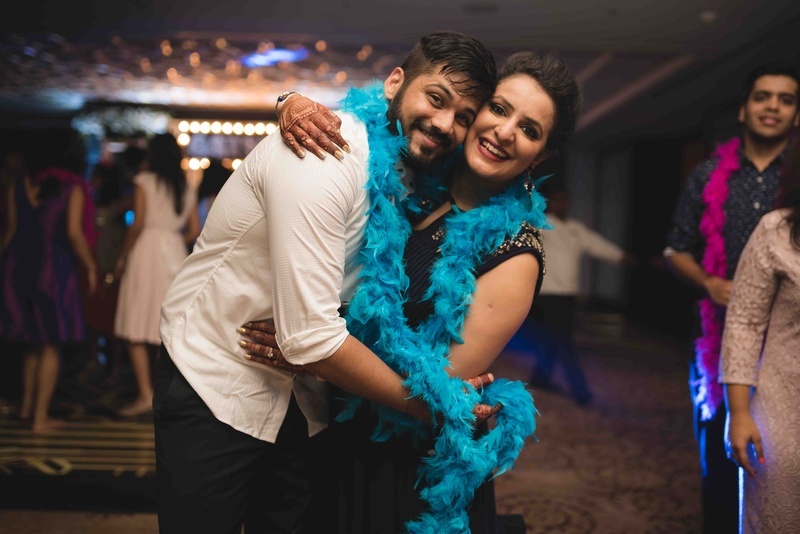 They came close while pouring their hearts out to each other and the rest was history - 9 months of courtship period and then soul mates for life. 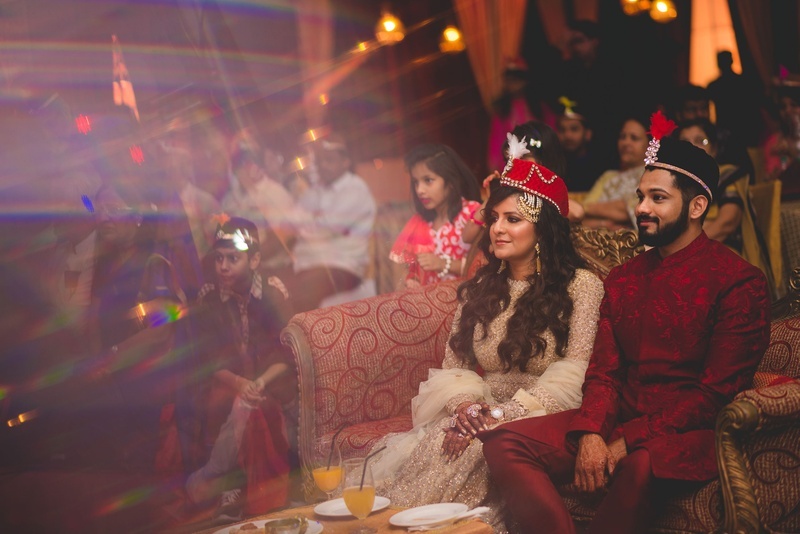 Dressed in a Sabyasachi Lehenga, Vrinda looked stunning while our pardesi babu, Pranay looked nothing less than royalty in beige sherwani. 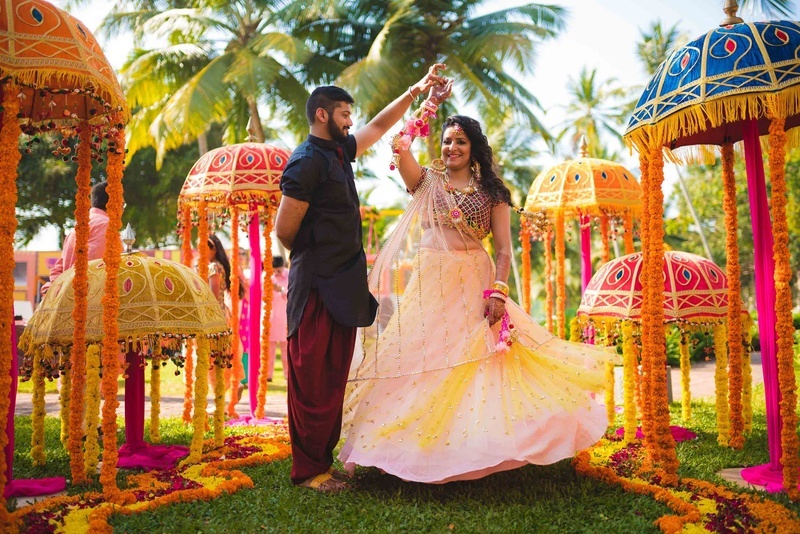 Dressed up in a colorful neon lehenga styled with neon gota patti floral jewellery for the mehendi ceremony. 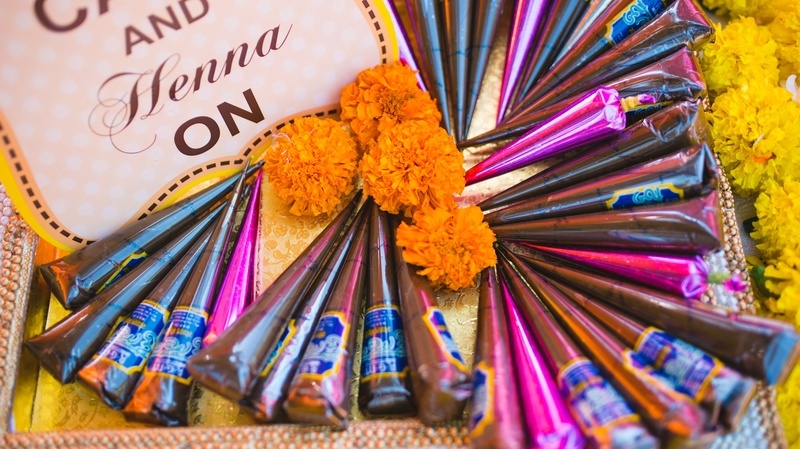 Rajasthani Umbrella decor at the mehendi ceremony. 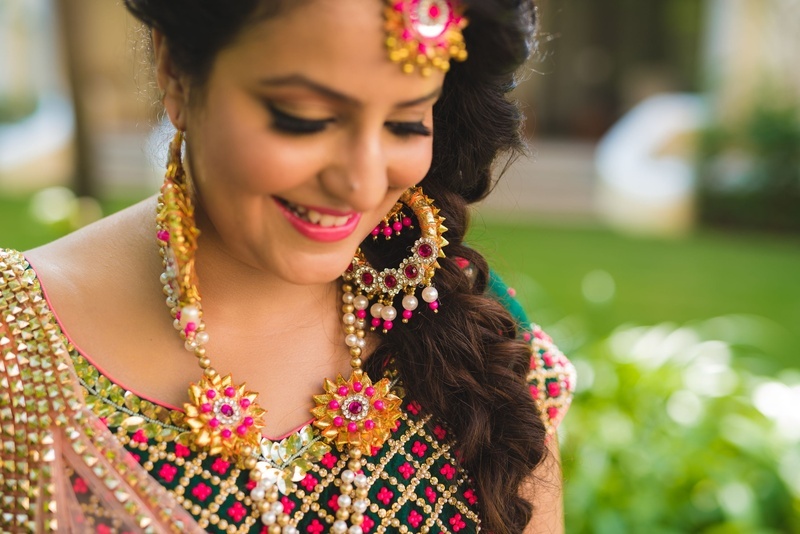 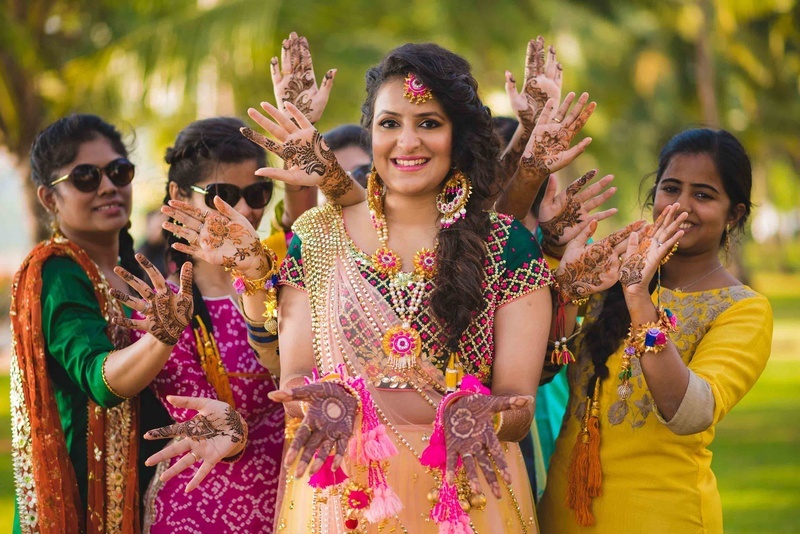 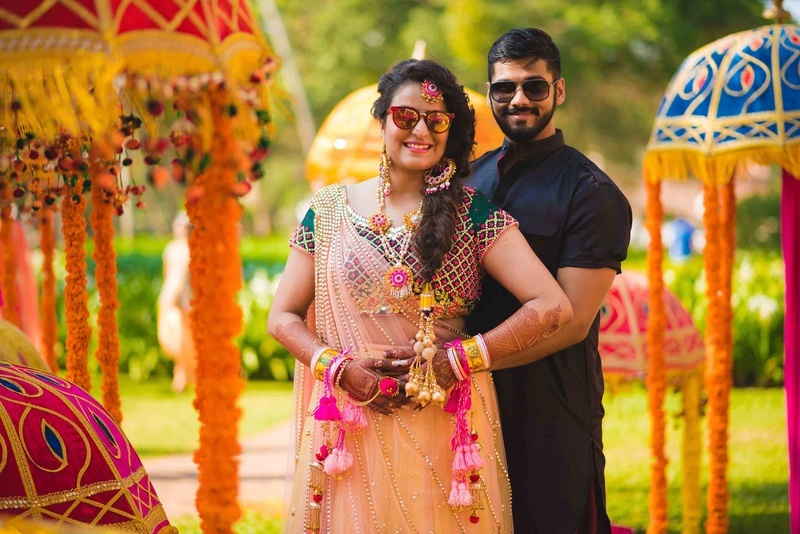 Totally crushing over Vrinda's neon floral jewellery for her mehndi ceremony. 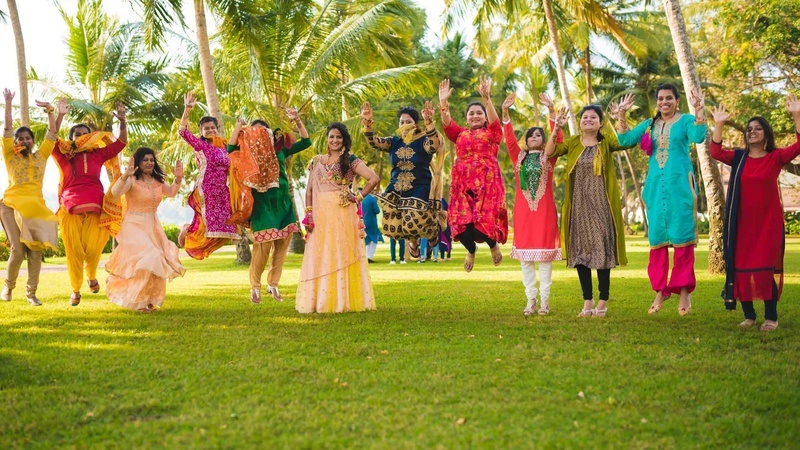 Bride and her bridesmaids dressed up in colorful outfits for the mehndi day. 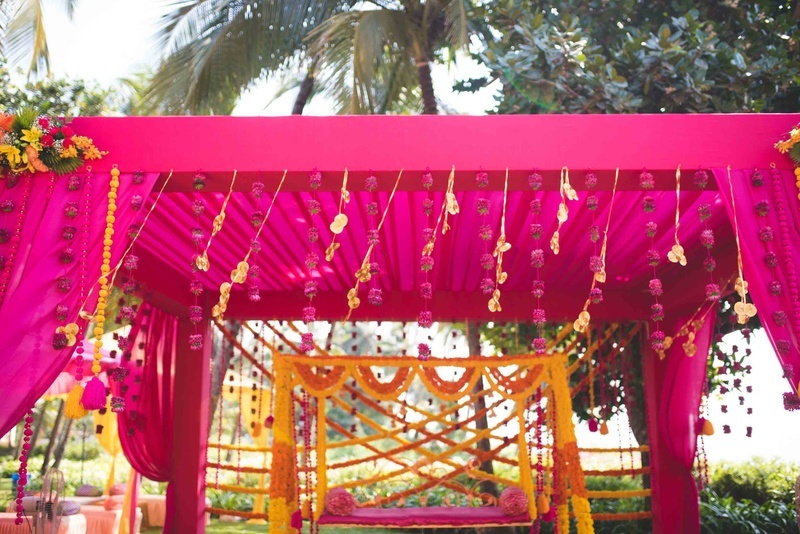 Deep pink drape decor paired with fresh genda phool for the mehendi day! 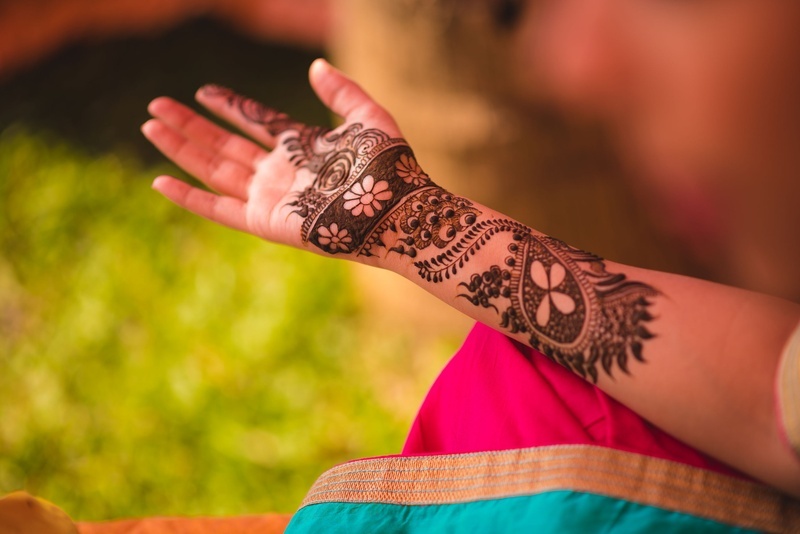 Hands filled with beautiful arabic mehendi design. 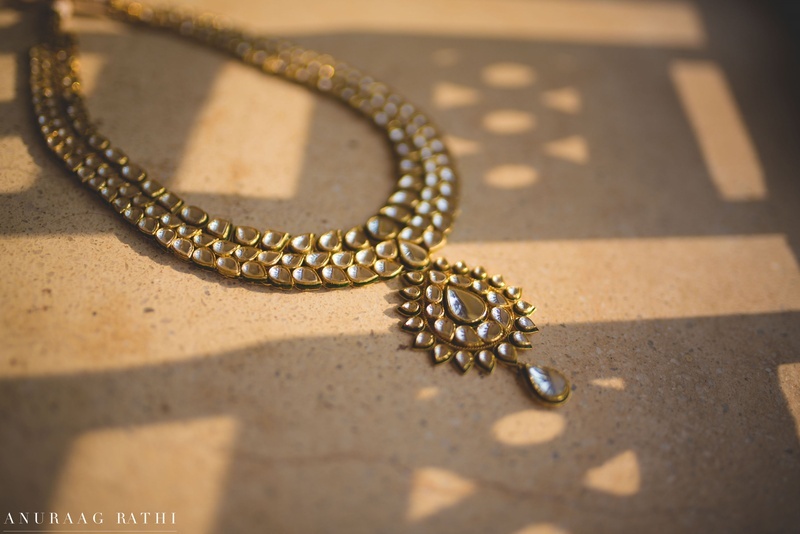 Vibrant and colorful gota patti floral jewellery. 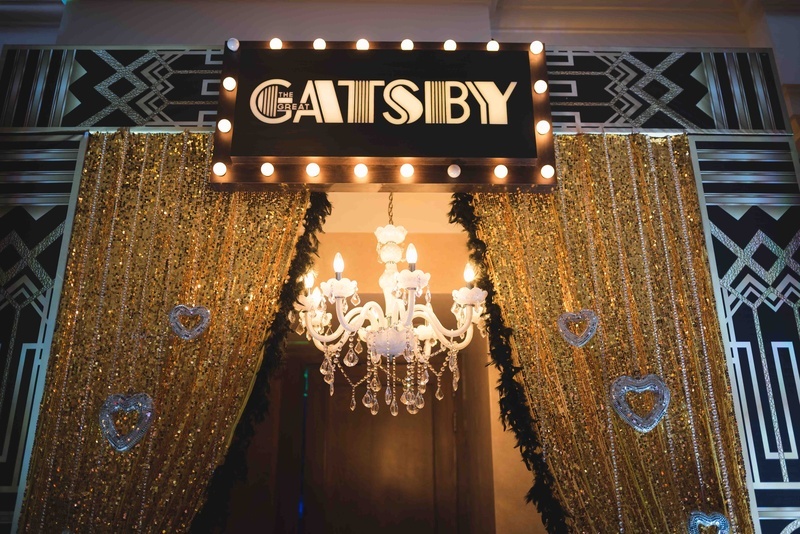 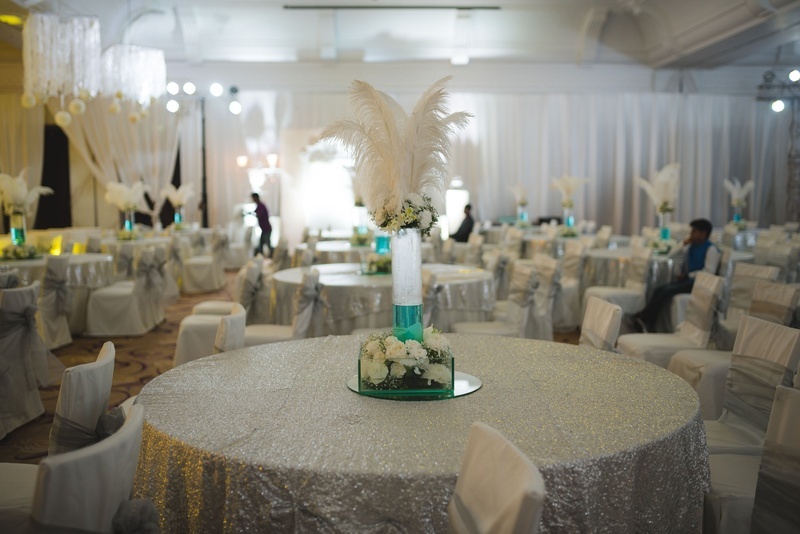 The great gatsby night decor! 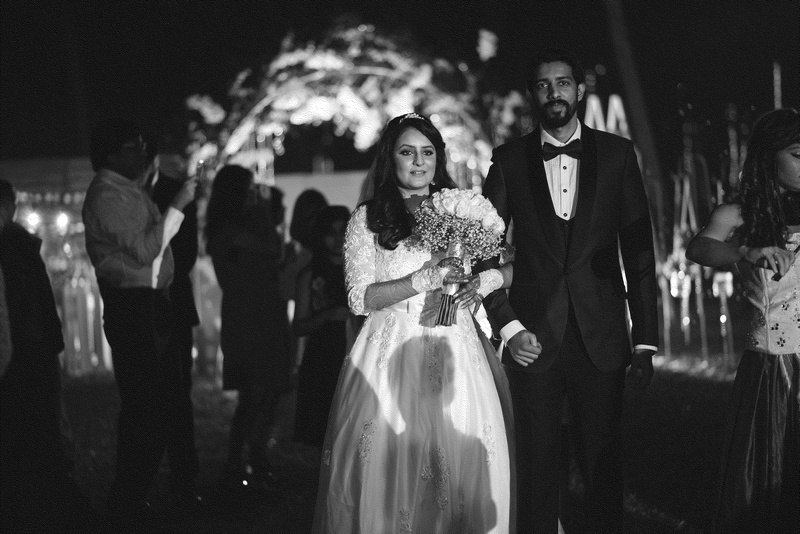 Dressed up in black and white for the great gatsby night. 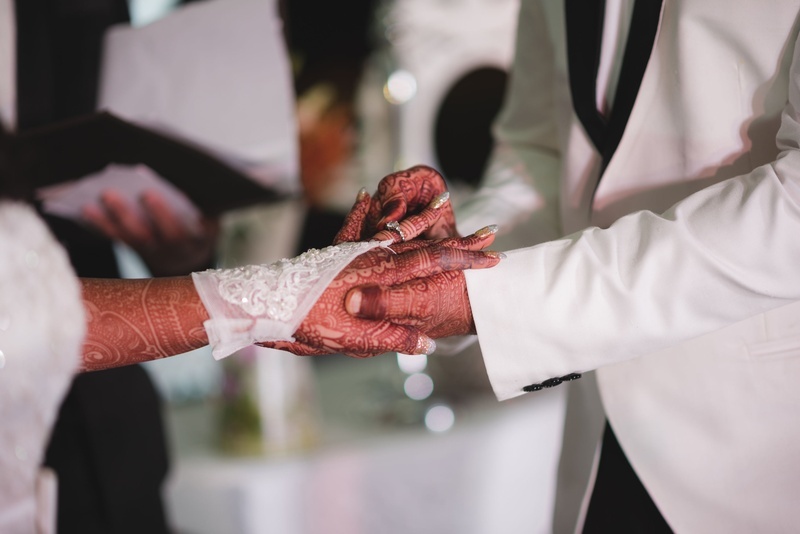 Getting dressed up for the Christian Wedding Ceremony. 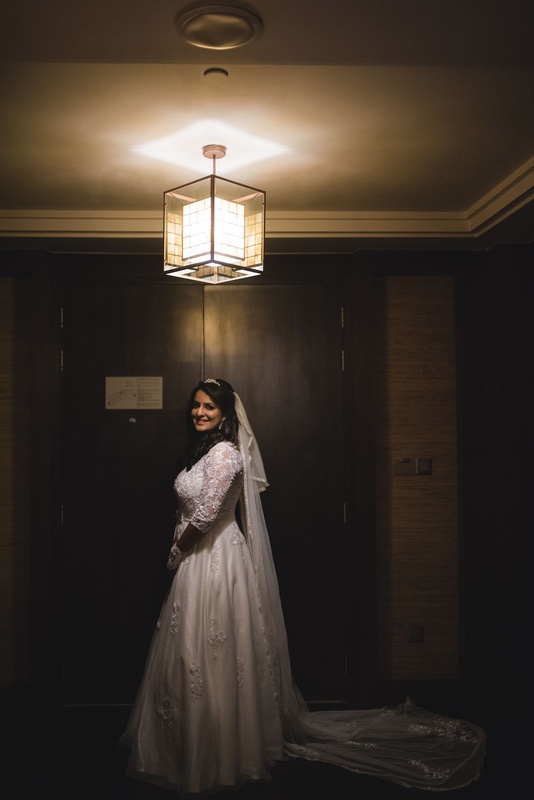 Dressed up in a pure white wedding gown for the Christian Wedding. 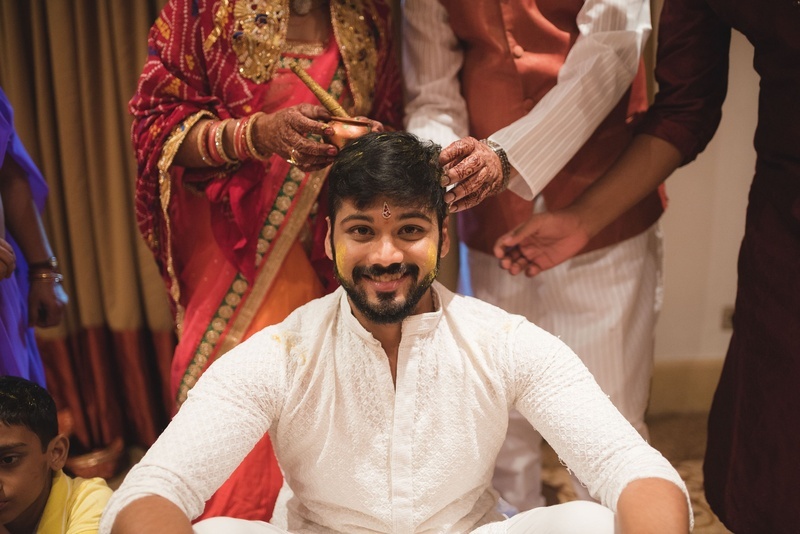 Pranay eagerly waiting for his Bride-to-be. 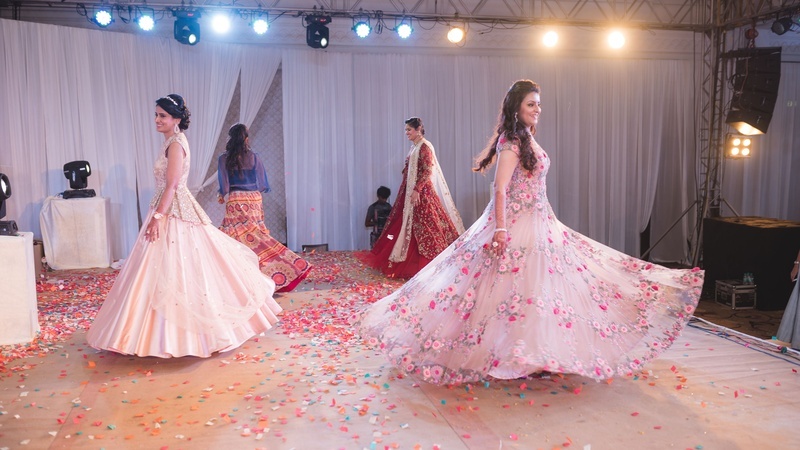 Vrinda walking down the aisle. 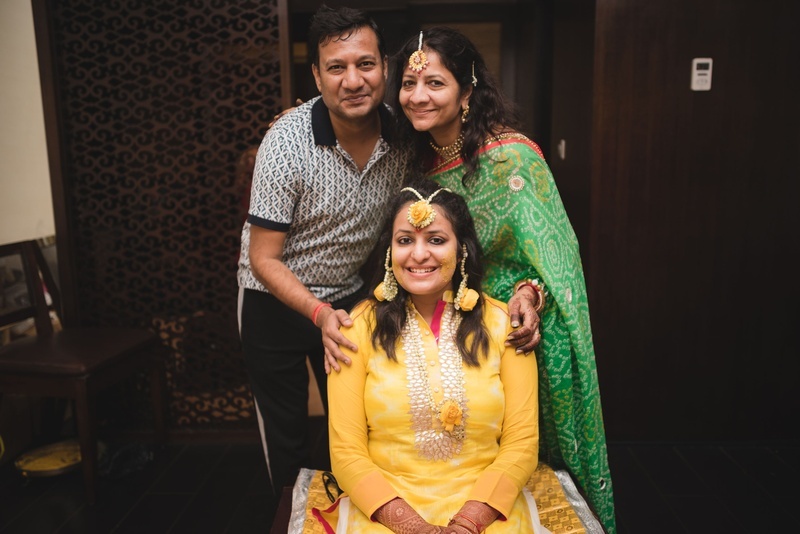 Dressed up in a bright yellow and silver gota patti work salwar suit paired with yellow floral jewellery for the haldi ceremony. 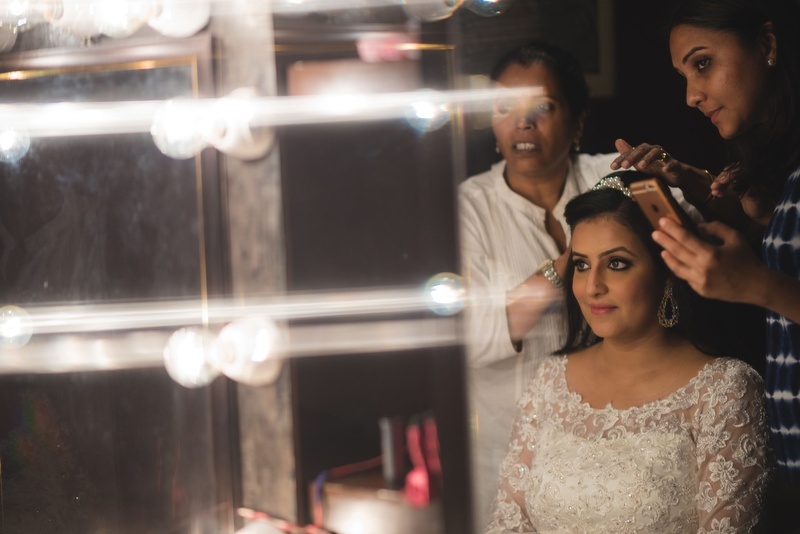 Bride and her bridesmaids getting ready for the wedding day. 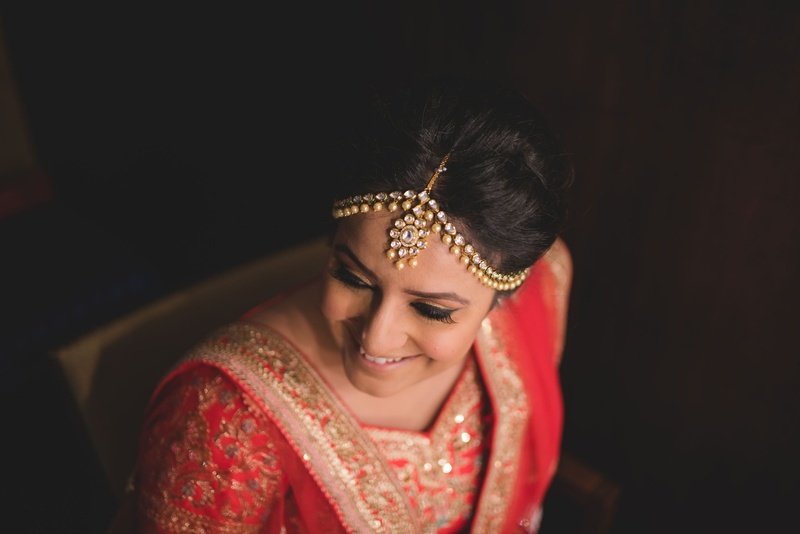 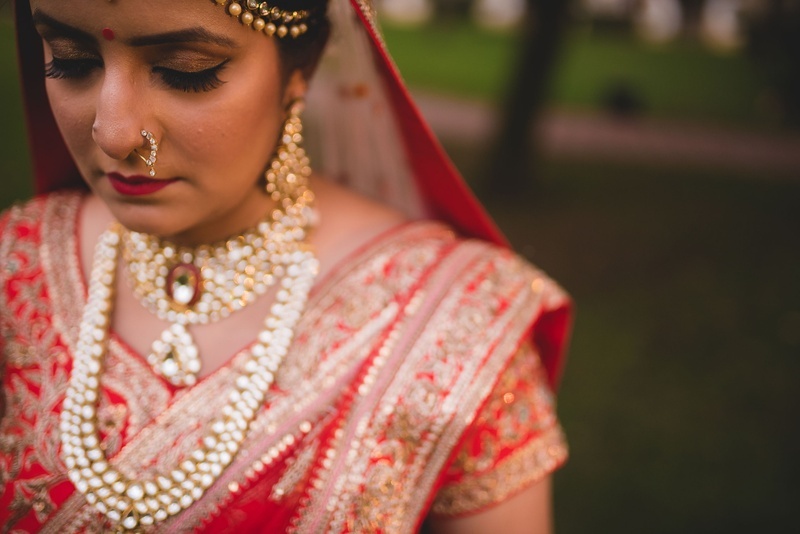 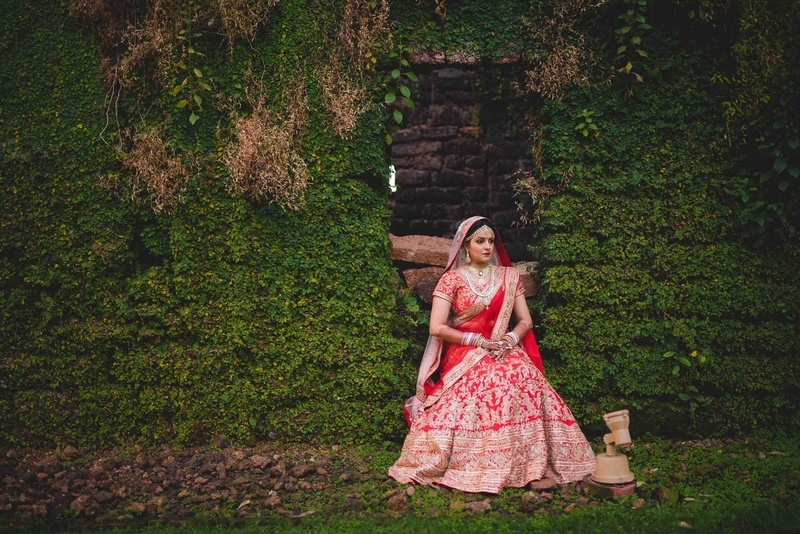 Bridal photography in regal red and gold Sabyasachi lehenga. 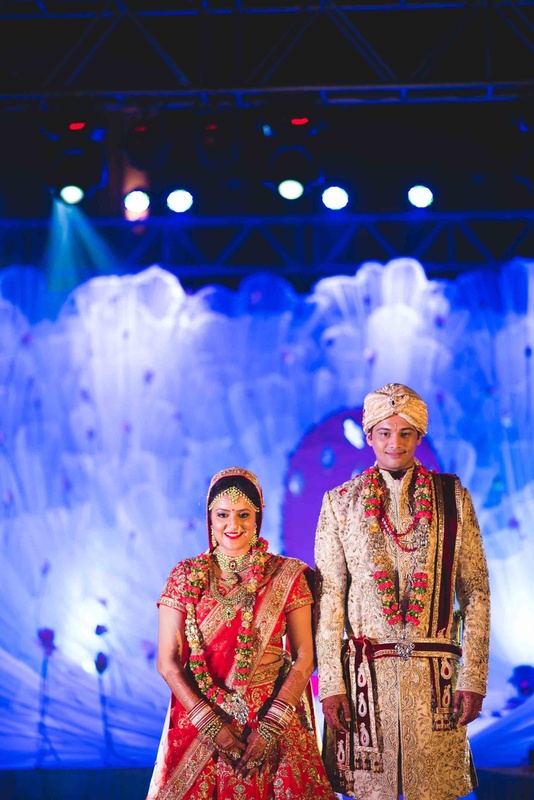 Complementing each other in color coordinated outfits for the wedding day. 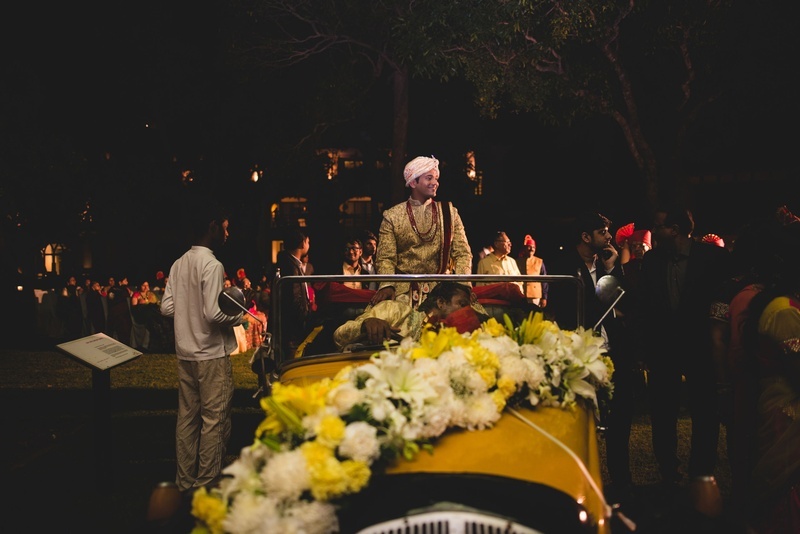 Dashing groom entering the wedding ceremony in a vintage car decorated with flowers. 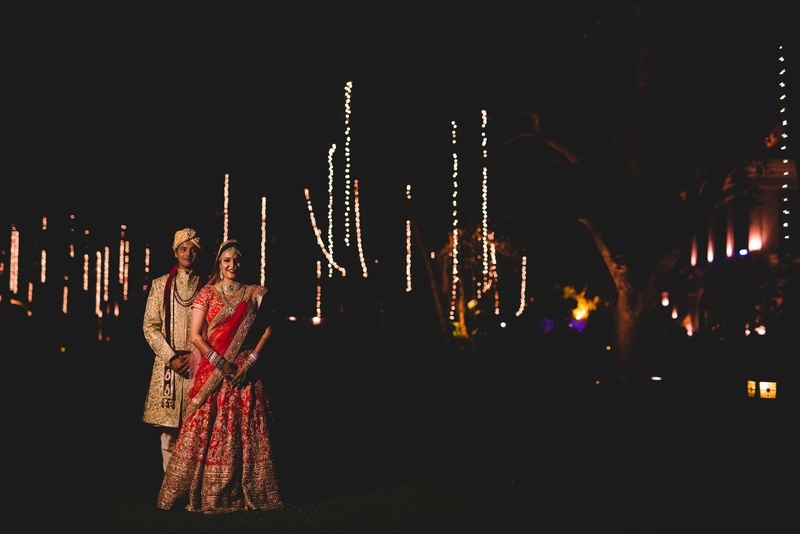 Couple shot by Anuraag Rathi Photography. 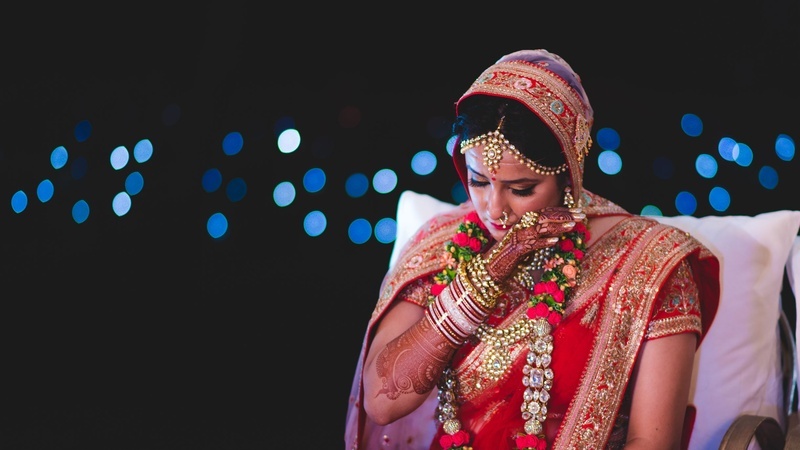 Emotional Vidaai moment captured beautifully by Anuraag Rathi Photography.